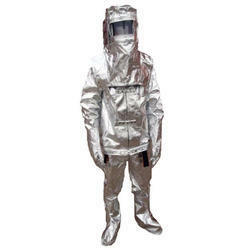 We are a leading Manufacturer of fire resistant suit, boiler suit, kevlar fire retardant boiler suit, aluminized proximity suits, body protection suits and dupont tychem tk suit from Mumbai, India. 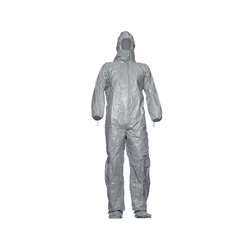 We offer high performance Fire Proximity Suit that is widely applicable in intense heat, fire, steam and hot liquid. The Fire Proximity Suit has been specially developed and field tested for rescue operations. The outer layer of these suits is made from 16 oz imported aluminized glass fibre fabric with dual mirror which has 90% reflection of heat. The inner layer is prepared by means of woolen fabric lining which is stitched using heavy-duty kevlar thread. 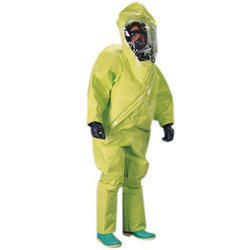 The entire suit is consisted of one-piece coverall having with or without pouch to keep breathing apparatus. It also has hood with visor, a pair of glove and a pair of boots. The visor of the hood is made from mica and tinted polycarbonate. The helmet is manufactured using is-2745 standard fiberglass helmet and attached with two elasticized straps for a better grip. To protect the wrists the suit is also presented with 14 gloves with stud fastener. To safeguard the feet from high temperature, boots having neoprene rubber sole that do not skid on greasy floor are provided. Boots also have aluminized fabric flap sturdy zipper. 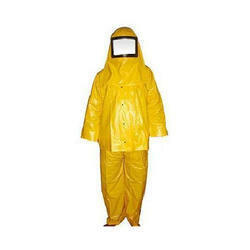 This suit is widely appreciated for its durability, temperature resistance and shin friendliness. 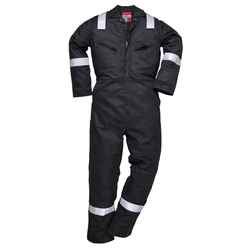 We provide the best quality boiler suits with features of anti-pilling, shrinkage control, color fastness, durability and skin friendly. 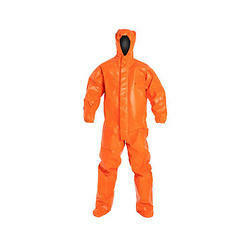 We offer Kevlar Fire Retardant Boiler Suit. 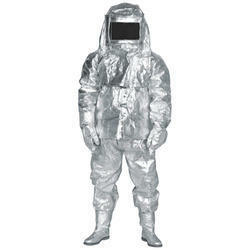 We offer Aluminized Proximity Suits. 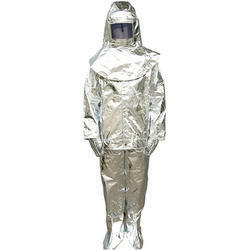 We offer Body Protection Suits. 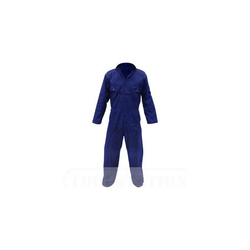 We offer Dupont Tychem TK Suit. 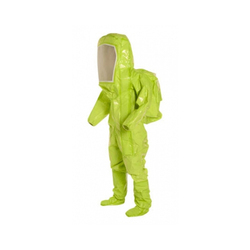 We offer Chemical Gas Tight Suits. 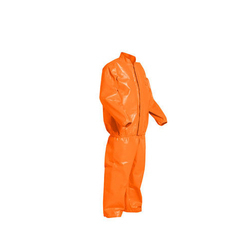 We offer Tychem F Safety Suit. 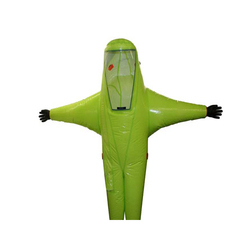 Looking for Body Protection Suits ?